Essential for effective fertiliser planning and a requirement for many environmental schemes including NVZ soil management plans. Discover the Phosphate, Potash and Magnesium indices of your soils together with their pH using our six sample Standard Soil Analysis packs. Why not order one of our steel Soil Sampling Tools which take the hard work out of soil sampling grassland swards. Manufactured to our specification this foot operated steel soil sampler is durable and hard wearing. Samples collect in a funnel and can be easily mixed before boxing. "Focusing on soil management made us question conventional thinking and make the most of our on-farm resources." Our comprehensive soil improvement programme combines detailed soil analyses with the unique expertise of our soils specialists. A standard analysis may show the levels of P,K and Mg to be normal but underlying imbalances in micronutrients may mean the forages do not thrive and livestock are left with unhealthy nutrient imbalances. Many an expert will start with expensive fertilisers and feed supplements when the true solution lies in adopting our biological approach to soil improvement. We have many success stories to show remarkable improvements using low cost soil treatments without the need for high cost commercial products. 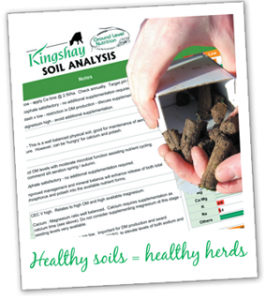 Developed in conjunction with Ground Level Nutrition this service recognises that a healthy soil is key to livestock health. Progressive soil management can achieve significant benefits in disease resistance, productivity and profit. 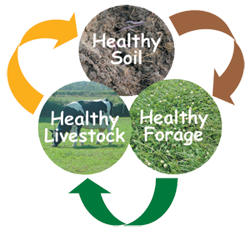 Soil is the greatest natural resource of your farm - it is a living system with a positive nutrient cycle. A healthy soil will be alive with microbiological life. 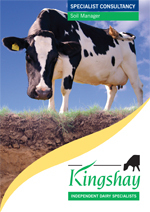 Skilful and progressive management of soils can improve not only the forages you grow, but also the health and productivity of your livestock. 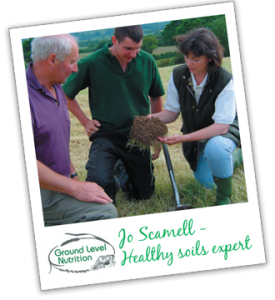 Fee includes telephone support from our soil specialists to help you identify the key actions to achieve healthy soils – healthy livestock – healthy profits.